Summer’s a great break, but it’s hard to forget that school is coming again soon. It can make you feel anxious especially if you have ADHD — but you don’t have to dread school. Spend a little time this summer to prepare yourself for a great first day of school. School doesn’t have to be bad. Really, I can’t believe I’ve made it so far. I’m going into my Grade 12 year in September. If I’ve made it this far, I know you can too. Get Organized Before School Starts: Set up an organizational system with your parent(s) and stick to it. It can be anything as long as it works for you. The thing that works best for me is having all of my work in one binder with a section for each class. Start strong and do your homework from day one: If you try to pretend that it’s still summer then you can get behind quickly. Put all your effort into staying on track from day one cause that’s the time that it matters the absolute most! Use your class time for work: Since you already have to be in class, you might as well get as much work done while you’re there. Then you can avoid wasting this time and it also gives you lots of free time when you’re at home. Do all of your work and do it well: How hard you work on your homework shows. And this tells your teacher how hard you tried and how much you care. Don’t hand in garbage assignments cause you will get garbage marks. Do your best to have everything in on time: As soon as you finish something, either hand it in, or put it in a section of your binder for “completed work”. Check that section of your binder every day. It’s too easy to forget to hand things in, am I right? Be an enjoyable student: Make an effort to make a good impression on your teachers. Be respectful and get your work done so that they enjoy having you in their class. Check out this post I wrote about talking to my teachers about my ADHD. Write your teachers a letter: Last year I wrote my teachers a letter since I’m older now. A letter is a great way to tell your teacher what support you expect and need from them through the school year. It also is a way to tell them how excited you are and how hard you plan to work in their class. If you need, you can always ask your parent(s) for some help writing this letter. Check out some of my posts to find out how things have improved for me in school. Start with this one I wrote about becoming more confident at school. If possible set up a meeting to choose teachers with the best fit for you. The years where my mom did this I had a way more enjoyable year. There’s no point in attending a class with a teacher who has a reputation for not being able to work with ADHD students. There may be a great teacher waiting to teach you, but you’ll never know unless you ask! Be sure to check your child’s binders daily for incomplete work and make sure they get it done. Accountability is key! 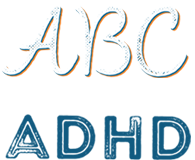 Read some of the other posts on this site about school, to help understand what your ADHD Kid is going through. Here’s one I wrote about being terrified at school. Here’s another one I wrote about Parents Supporting their ADHD Kids at school. While it is true that having ADHD can be hard at school, I have found some tricks to help make it easier. It’s important that we talk to our teachers so that they know how to help us. Let’s make this the best school year yet!